After suffering a broken back at the age of five in a trailer incident, the 17hh chestnut gelding, Sergeant Squirrel has never had much of an appetite until he was introduced to Equerry Conditioning Mash. Now 24-years-old the Hanoverian x TB, owned by young event rider Lauren Marsh (20), is looking in great shape and still going strong with their first 1* BE event under their belt. Said Lauren: “Squirrel has taken me from Pony Club Novice eventing to my first 1* BE, getting a seventh place, in just one year. 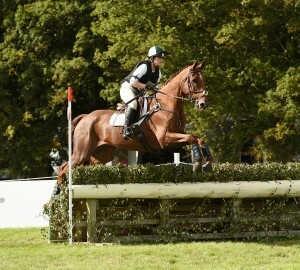 We have also been to Blenheim twice where we were placed fourth and fifth with a second for style. He is quite an amazing gentleman. “When he was a youngster he suffered an awful injury and since has never had much of an appetite despite making a fantastic recovery. “I started feeding him Equerry Conditioning Mash just before we went to Blenheim last year to try and keep weight on him and provide him with enough energy for the busy season. Lauren and Squirrel have had a very successful partnership so far also qualifying for the Pony Club Championships in the open showjumping and finishing in the top five in the open area eventing with double clears all round. Added Lauren: “He really is a star and has also competed at Burghley in the Pony Club showjumping three times and we were placed every time, he was one of only three double clears in 2013. Lauren is hoping to start the season with a run at Burnham to see if he is still up to the competition, and will then go on to compete at BE100 unless he feels up to novice. This would make him one of the oldest horses competing at that level in British Eventing. 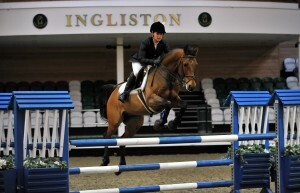 Equerry Horse Feeds are delighted to announce a new sponsorship with Ingliston Country Club in Renfrewshire. This renowned Scottish venue has not only been voted ‘best equestrian venue in the UK’ by British Show jumping competitors for three years in a row, but has also developed a reputation as a leading hospitality destination within Scotland; with the luxurious Country Club boasting a 30 bedroom boutique hotel, 15 luxury log cabins and a top class Restaurant. Idyllically located within the hills of Renfrewshire and luxurious design and detail at every turn, it is with little surprise that Ingliston has become an award winning wedding venue with two stunning function suites. 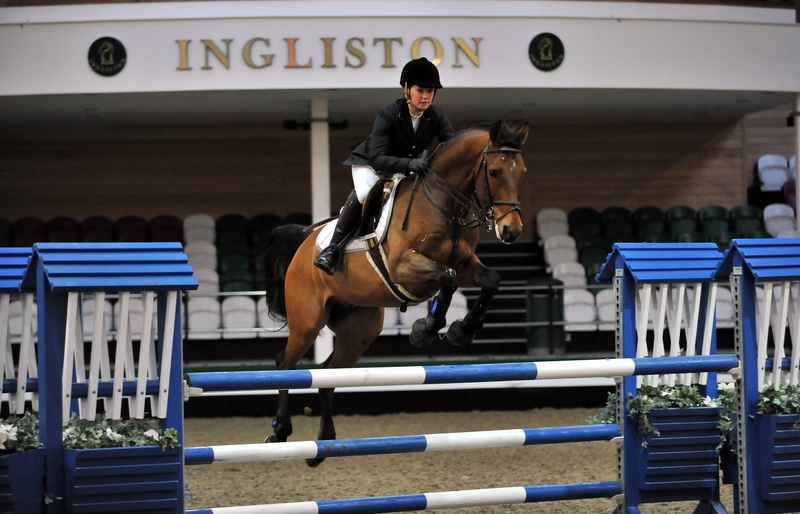 Ingliston Country Club hosts a range of competitions in various disciplines, including British Showjumping, dressage and showing. British Showjumping features particularly strongly in their events calendar which sees a competition hosted twice a month. They are also an established training venue, hosting regular clinics with top class trainers. The outstanding facilities at Ingliston Country Club include 160 stables, an indoor and outdoor warm up arena’s, an indoor and outdoor International main arena’s, post and rail paddocks, horsewalker, solarium and lunge pen. As a highly regarded livery yard, 130 of the equestrian centre’s stables are filled by full liveries and their own horses and ponies which are used in the Riding Academy. Glasgow University Riding Club is based at Ingliston and also receives tuition there. Last year, the team won the coveted National Championships title, in the first year of them being with Ingliston, which is testament to the top class facilities and training they receive. EQUERRY Veteran Mix is specially designed for elderly horses and ponies that need to gain weight and condition. 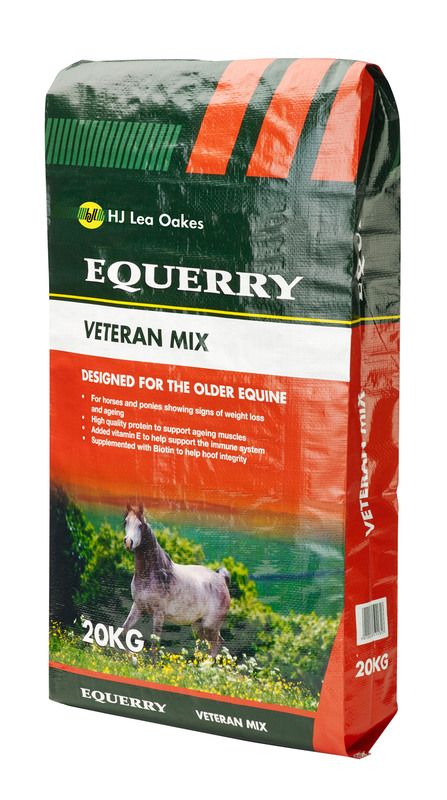 Throughout February and March, Equerry Horse Feeds is promoting a special offer with £2.00 off Equerry Veteran Mix, priced at just £11.25*. Maintaining condition and nutrient absorption are two of the difficulties faced by most veterans, especially during the winter months, so making the right choice of feed is vital. Formulated with high levels of protein to promote muscle tone and topline, Equerry Veteran Mix also contains oil and linseed to improve condition and ensure a shiny coat. Made from highly digestible cereals to improve digestive efficiency and including yeast for a healthy digestive system, as well as raised levels of Vitamin E, an important antioxidant. Added vitamins and minerals including magnesium make Equerry Veteran mix the ideal feed for your faithful equine friend this winter. 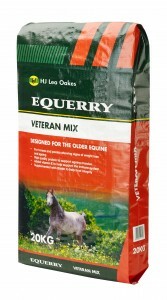 Equerry Veteran Mix – 20kg size – Normal RRP £13.25. *At participating retailers throughout February and March, whilst stocks last.